With an open toe design and 3D molded tongue, the Hyperlite Remix Wakeboard Boot is a no-nonsense wakeboard boot with plenty of support and control. 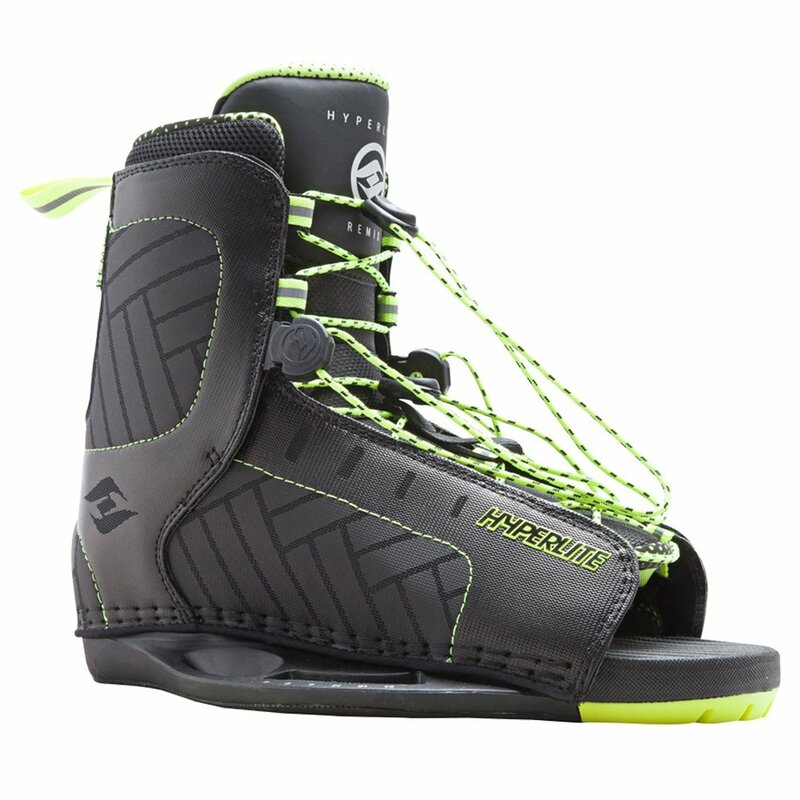 Dual Lace Zones, common in more expensive boots, make the Hyperlite Remix Wakeboard Boot easy to get in and out of, while still remaining a customizable good choice for beginner and intermediate riders. You’ll also have more control over your board thanks to Dual Density EVA Footbed and Low Pro Plate System that keep you closer to the deck.